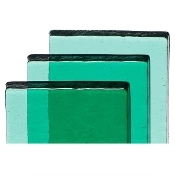 Characteristics - Intended for glass casting. 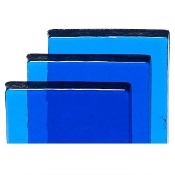 Billet dimensions are approximately 5" x 10" x .75", weight approximately: 3.25 - 3.5 lbs. 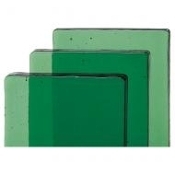 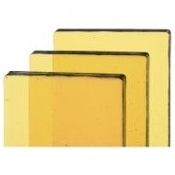 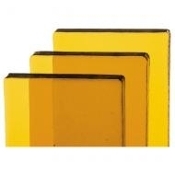 Billets are compatible with Bullseye Glass sheet glass, frits and powders. 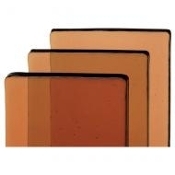 Color saturation varies depending on application and thickness. 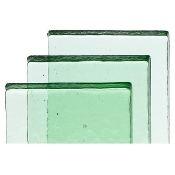 Some colors are "strikers" which may appear pale or even colorless in their cold form but "strike" or mature to target color when fired. Photos demonstrate single, double and triple thickness color saturation.